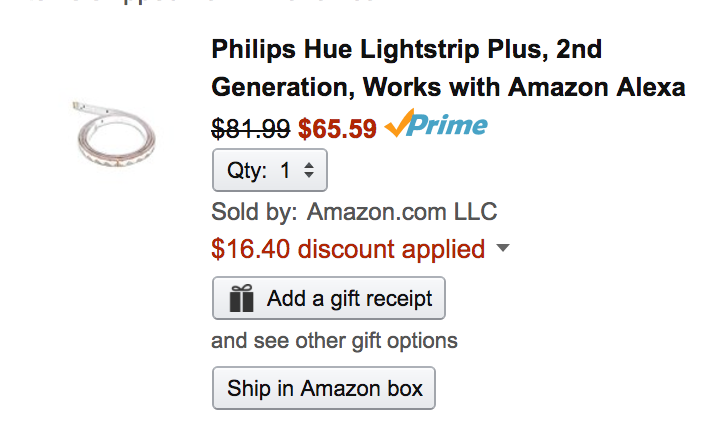 Amazon offers its Prime members the Philips Hue Lightstrip Plus 2nd Generation for $65.59 shipped. Note: you need to choose the “frustration free” packaging. For comparison, that’s a $34 savings off the original price, $24 less than B&H and an Amazon all-time low. Rated 4.3/5 stars. New and enhanced 6ft Hue LightStrip that allows you to shape, bend and extend.